It's no secret that copyright holders are trying to take down as much pirated content as they can, but targeting open source software is not something we see every day. 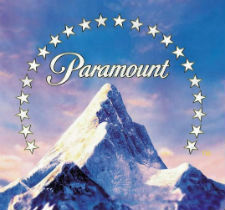 Paramount Pictures recently sent a DMCA takedown to Google, listing a copy of the popular operating system Ubuntu. An honest mistake, perhaps, but a worrying one. In an effort to make piracy less visible, copyright holders are sending dozens of millions of DMCA takedown requests to Google every month. Since there are so many takedown notices it’s no surprise that errors are made. In recent years we have frequently pointed out various mistakes, some more serious than others. This week we spotted a takedown request that targets one of the most shared files on BitTorrent, Ubuntu releases. Unlike Hollywood blockbusters Ubuntu distros are released under free software licenses, which means that people are encouraged to share them. In fact, Ubuntu’s official download site offers BitTorrent as one of the options. For some reason, however, Paramount Pictures is not happy with seeing the popular operating system on torrent sites. In a notice sent out by the movie studio’s anti-piracy partner a few days ago, Google is asked to remove an Ubuntu torrent download page on ExtraTorrent. According to the notice, the Ubuntu release infringes the copyrights of the movie Transformers: Age of Extinction. It’s a mystery why this URL is targeted as the entire page doesn’t contain any references to Transformers, at least when we checked. There is a likely possibility that the list of “recent searches” at one point included a Transformers mention, but even then the takedown request would clearly be overbroad. Despite the obvious non-infringing status of the Ubuntu release, Google moved ahead and removed the page from its search index. Perhaps not surprisingly, considering the volume of requests that the company has to process. Google currently receives reports for around three million “pirate” URLs per day. While the search engine has some automated filters to catch mistakes, it’s virtually impossible to check all submissions by hand. Paramount’s mistake may be relatively harmless, but it shows once again how much can go wrong with these automated DMCA notices. Whether these errors can be rooted out is doubtful as there is very little incentive for copyright holders to improve their accuracy. Google, however, previously told us that they are determined to prevent abuse and mistakes. “We still do our best to catch errors or abuse so we don’t mistakenly disable access to non-infringing material. Google continues to put substantial resources into improving and streamlining this process, including into identifying erroneous and abusive takedowns, and deterring abuse,” a spokesperson said. Luckily, a search for Ubuntu download still features plenty of options.